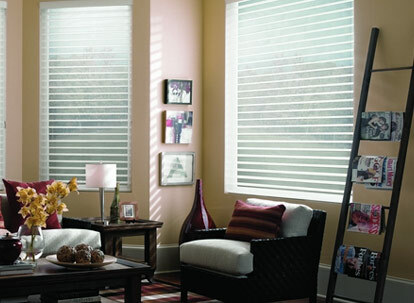 These sophisticated shades unite draperies, shades, and blinds into one exquisite and stylish design. 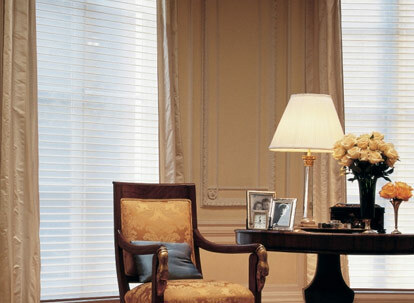 Constructed of soft fabric vanes suspended between 2 panels of sheer fabric.  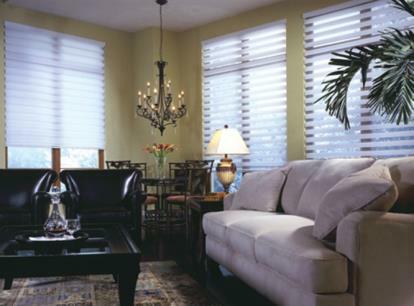 When vanes are open, light is softly diffused. 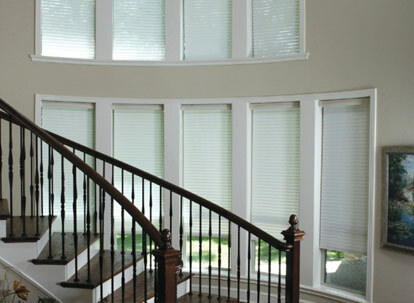 Shades roll up and disappear into a sleek headrail for a completely unobstructed view. 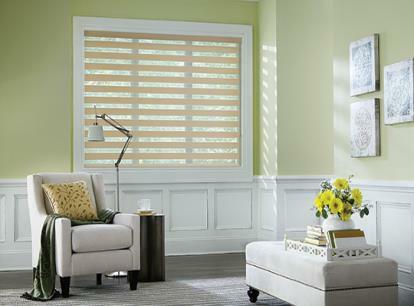 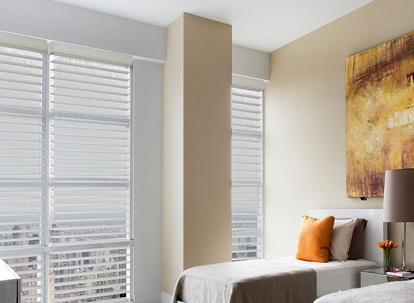 Sheer horizontal shades are a soft and sophisticated addition to any space in your home. 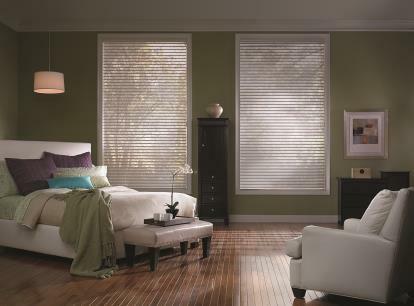 Available as 2" and 3" sizes in a variety of colors, these sheer shades are a popular alternative to window blinds. 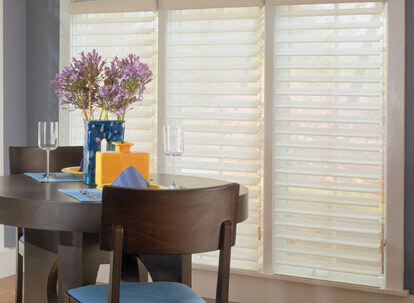 The sheer horizontal shade softly filters and diffuses light when open, and comes with either light filtering or room darkening options when the inner slats are closed. 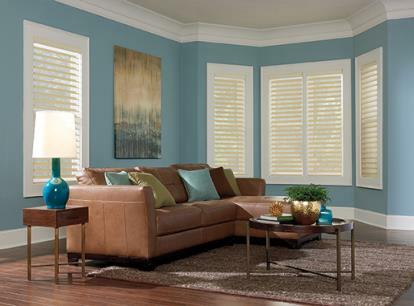 This shade is made with horizontal vanes that seem to practically float between layers of soft sheer fabric panels. 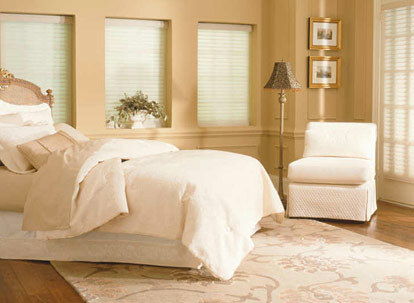 This shade is perfect for formal rooms such as a living or dining room and is also ideal for adding a touch of feminine romance to any room. 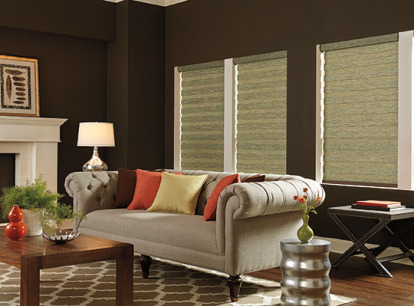 Sheer shades are gorgeous on their own but also look fabulous paired with drapes since they have the advantage of performing two functions in one, as a blind and a sheer curtain. 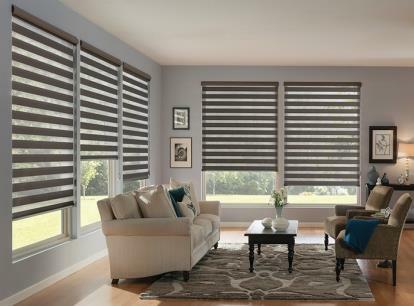 Easy Lift -- With the easy lift option operating your sheer horizontal shades is quite easy, simply press a button and lift the shade gently. 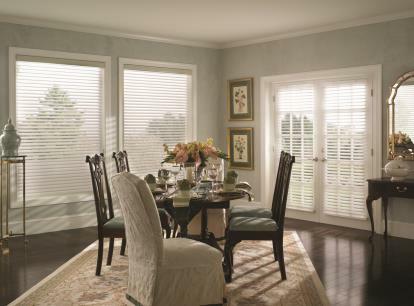 This is the ideal option for everything from standard size to very large windows. 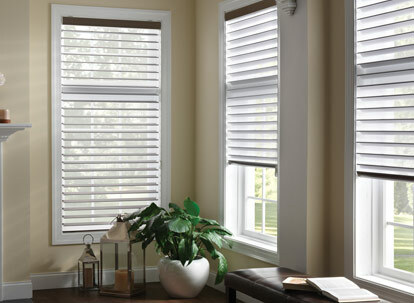 Top Down / Bottom Up -- This popular option is superior for lighting and privacy control since you can raise or lower your sheer shades from either the bottom or the top of the shade. 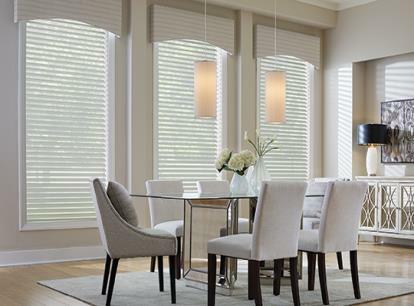 Made with soft fabric materials that transform natural light into soft ambiance, the sheer horizontal shades at BlindsMax offer you unmatched beauty and quality. 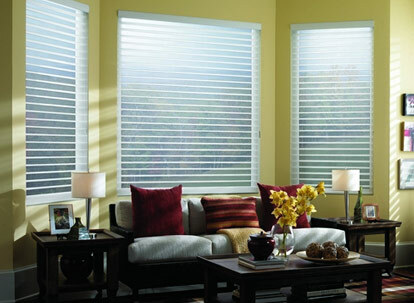 Your view will be unobstructed when the shades are raised, and slightly filtered when the shades are lowered. 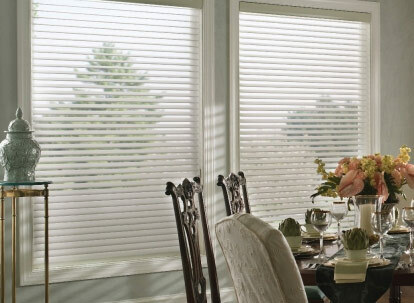 This luxurious sheer horizontal shade also provides UV protection, protecting your furniture, flooring, and artwork from damage that can occur in direct sunlight. 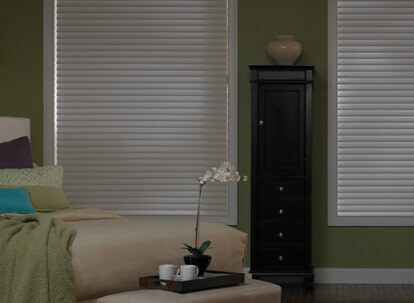 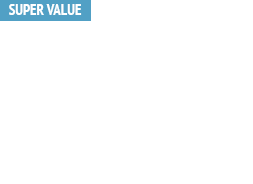 Your sheer shades come with a lifetime warranty, your total satisfaction is our highest priority. 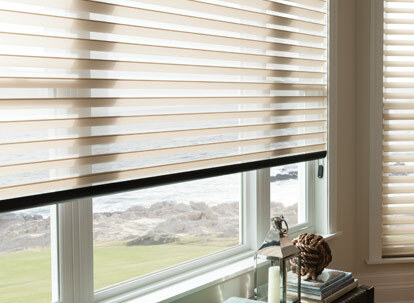 If you have any questions or would like personal assistance with your shades order please use the online support button above or call us anytime Monday through Friday between 9am and 5pm EST at 888-305-8020. 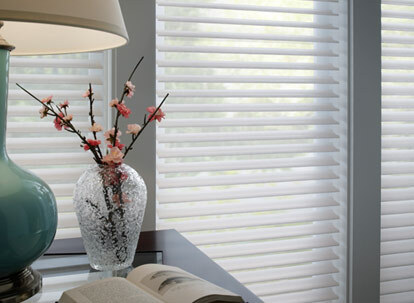 We also offer code compliant commercial blinds and shades, please contact a customer service representative for details.